Umbilical cord blood plays a critical role in treating a wide range of debilitating and life-threatening diseases including leukemia, lymphoma, sickle cell anemia, and many more. The most promising area of research is how cord blood can be used in regenerative medicine, which can help the body repair, replace, restore or regenerate damaged or diseased cells, tissue and organs. 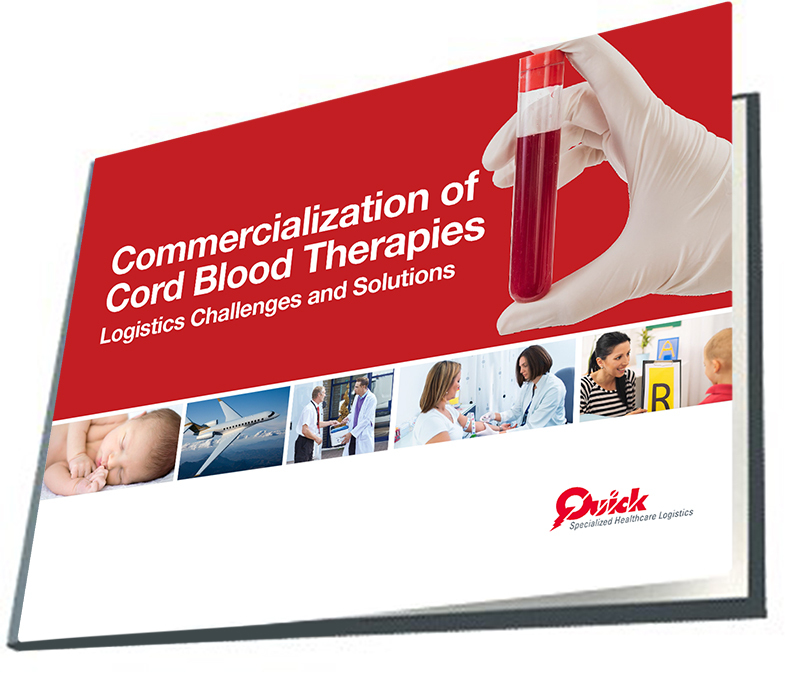 Download our e-book to learn about Quick's solutions to safely transport cord blood and cord blood-based treatments. Join us for the free Live Virtual Conference, designed to educate parents and health professionals, on Thursday, November 15th, 2018. Learn from Quick Healthcare’s logistics experts David R. Murphy and Monroe Burgess about the complexities of transportation and logistics for umbilical cord blood and cellular therapies.